The public discussion of the environment and climate change is an important opportunity for museums to connect more deeply with their communities. It is also an opportunity to protect and strengthen their institutions. 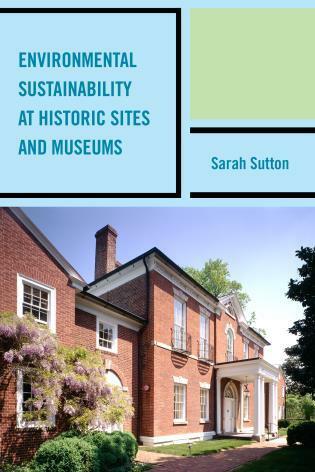 Join Instructor Sarah Sutton author of Environmental Sustainability at Historic Sites and Museums, The Green Nonprofit and Co-author of The Green Museum for this course which will be a survey of the practical aspects of interpretation and public programming, operational changes, building construction, and community engagement in service to the message of how changes in our museum work can deepen museums’ connections to their communities and increase museums’ charitable value. Required Text: Sutton, Sarah 2006. Environmental Sustainability at Historic Sites and Museums. Rowman & Littlefield, AASLH, + 228 pages.